After Istanbul (April 2016) and London (April 2017), pioneering fashion retailer Modanisa.com completed its hat-trick of firsts by also launching Dubai’s very first Modest Fashion Week last weekend. The event opened in spectacular style last Friday evening, 8 December, with Turkish Cypriot celebrity designer Raşit Bağzıbağlı showcasing his Spring-Summer collection on the catwalk. Walking exclusively for him was hijab model of the moment Halima Aden. Not even the threat of a major downpour on the open-air catwalk in Burj Park, located at the foot of the world’s tallest building, the Burj Khalifa, could dampen spirits as the audience, which included Gulf royalty and celebrities, cheered and clapped on the models presenting Bağzıbağlı’s beautiful collection. Renowned for his red-carpet gowns and fabulous wedding dresses, 32-year-old Bağzıbağlı opted for white, red, powder, purple, and black colours for his debut modest fashion collection. The full-length outfits, a mixture of day and evening wear, were adorned with lace, embroidery and sequins. According to his label statement, this eye-catching haute couture collection is “modern and sophisticated”, defining “the class, strength and confidence in women”. Journalists from around the world rushed to interview both Bağzıbağlı and Aden before and after the show, generating plenty of international media coverage for themselves and show sponsor Modanisa, whose CEO Kerim Türe is the visionary behind the modest fashion week concept. For Bağzıbağlı, whose existing clientele includes the likes of actresses Tuba Büyüküstün and Meryem Uzerli, celebrity heiress Paris Hilton, and supermodel Doutzen, it means the opportunity to find acclaim and new conservative-dressing customers across the Gulf and wider Muslim world. After his show, he took to Instagram to post to say “it was a wonderful show” [“Harika bir show oldu”], adding that he took the rainfall that started during his show as “a blessing from God”. The designer, whose parents hail from Lefkoşa and Karpaz, but who was born and raised in North London before moving to Istanbul, used his Dubai trip to also do a photoshoot in the desert. The campaign will promote his limited-edition collection for Modanisa when the collection goes on sale in March of next year. Following Bağzıbağlı on the catwalk was the equally stunning Muslima Wear. The Turkish label, which had also appeared at the Istanbul and London Modest Fashion Weeks, formed part of a trio of shows curated by Modanisa in Dubai. For their Gulf show, Muslima Wear featured a dazzling display of Silk Road-inspired couture, naming its two capsule collections Desert Rose and Silk Way. The elegant garments and striking headwear came in a rich hue of colours, from pastel blue to pillar-box red. The designer said they represent, “a meeting of civilizations that stretch from China through to the Middle East, the Caucasus, Turkey, and Europe”. Sadly torrential rain – the first rain of the year in Dubai, which came despite weather forecasts predicting zero rain! – stopped play for Modanisa’s third show. Instead, Selma Sarı – another veteran of Istanbul and London – opened Saturday’s catwalk shows and she did not disappoint. Izmir-based Sarı chose white, silver and other soft colours for her jumpsuits and dresses. She said the collection is inspired by the Diwali Light Festival, an annual celebration popular across the northern hemisphere that signifies the triumph of light over darkness and goodness over evil. In her design notes, Sarı says those who own a piece from this stunning collection can “conjure up their own magical story”: her high-quality handmade pure silk fabrics were lit-up by Swarovski’s sparkling stones and pearls that mystically shimmer with movement while creating an elegant, modern identity. An added wow factor to Selma Sarı’s show was the presence of another supermodel on the runway: Tülin Şahin. Since being discovered in Denmark at the age of 15, Şahin has gone on to feature in campaigns for global brands such as Ralph Lauren, Juicy Couture, Tommy Jeans, and H&M. She’s dubbed ‘Turkish Cindy’ due to her likeness to Cindy Crawford and last year the 36-year-old model, now based in Turkey, was named one of ‘the 50 best and most beautiful models in the world’ by Allure Magazine. Şahin closed Sarı’s catwalk in an exquisite full-length white jacket and dress. Having previously launched the Modest Fashion Week concept in Istanbul in April 2016, Modanisa played a smaller role in Dubai. As the name sponsor, it curated the three opening shows. 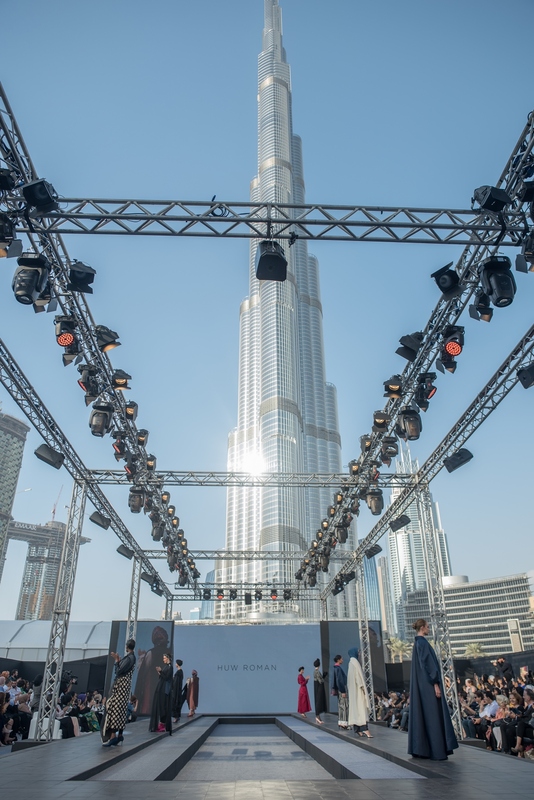 The e-tailer also worked closely with event organisers Think Fashion and Red Connect, and their financial backer EMAAR, whose buildings dominate the Dubai skyline including the towering Burj Khalifa and its next-door neighbour the Dubai Mall, to build on the an inclusive global platform of previous Modest Fashion Weeks. 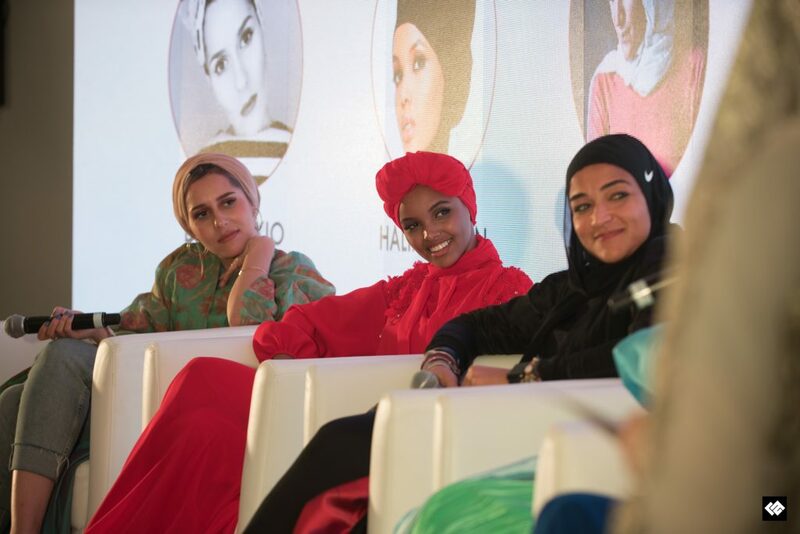 The jam-packed DMFW schedule included a tour of Dubai for special guests, more than 30 fashion shows by designers from around the world, boutique shops, panel talks, workshops, and networking opportunities. Modanisa.com is the world’s first and biggest online retailer of modest fashion. Last month, the company was recognised at the Global Islamic Economy Awards for its contributions to the Islamic economy. Türe received the prize from HH Sheikh Hamdan Bin Mohammed Bin Rashid Al Maktoum, Crown Prince of Dubai. Africa and Turkey: a promising partnership?